In Global Services we have all kinds of items of material assistance to rent in Gran Canaria walkers, bath seats, shower chairs, adjustable beds, railings, etc. Better and more accessible to any space very small. 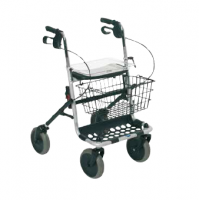 The rollator Actio has the best options to be used both on the street and in the user's home. Lightweight, and especially minimum width can access any site. Ergonomic and adjustable height cuffs for greater comfort, it has blocking and parking brakes, it includes a storage bag for a maximum weight of 3 kilos and carries a standard cane, it has support support. Height adjustable for better support ergonomic handles. Easy folding system for easy transport and storage. Cable brake system. Basket with tray and bag. Soft solid tires for a better ride, better handling and durability. 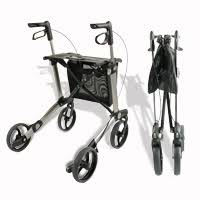 The DOLOMITE JAZZ is an ultra-light innovative design that provides excellent support and stability during walking rollator. Both indoors and outdoors, the Jazz offers many advantages that make it the best companion when traveling. 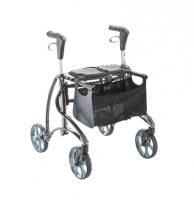 DOLOMITE JAZZ combines the functionality and ergonomics, providing adequate and natural gait! 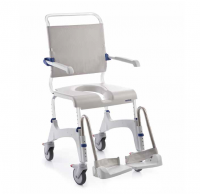 Aquatec Ocean offers a complete range of shower chairs to meet all the needs of both patients and caregivers. It offers the right model for every need. 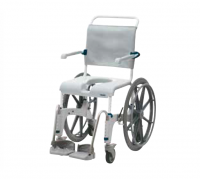 Ocean shower chair with wheels 24 ". 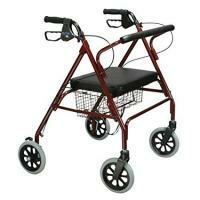 It offers all the benefits of the Ocean and additionally has solid wheels 24" easily removable. 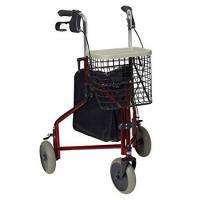 That is, it can be used in wheel version 5 "and 24"
Wheelchair commode or toilet to be used in the shower. Ergonomic and rounded to avoid injury chair. Shaped support and integrated armrests. Folding arms to facilitate the transfer. Soft seat cushion included. With integrated easily removable potty, although it can be placed directly on the toilet. 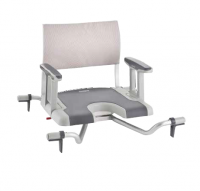 Footrest height adjustable and easily removable. Safety and design in the service of comfort bath table H112 Marina offers everything needed for a comfortable and safe daily hygiene, thanks to the 4 fixing lugs that fit almost all bathtubs. The H112 Marina not only as features an easy to clean surface or a stable handle for safe transfer, but also really attractive. 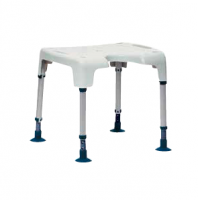 Shower stool Aquatec Pico. Thanks to its modular concept and its adjustable height, Aquatec Pico easily adapts to the needs of users. Step help bathtub. 60th washable and easy to install slip case. Slip bumpers for added security. Available in two colors: white and blue. This bath chair is part of the exceptional range of products Aquatec Sorrento. This range will convince not only highly functional but also for its style and design. 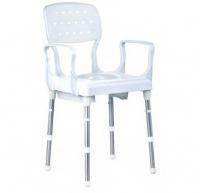 Bath chair with backrest and folding armrests. Made of anodized aluminum, stainless totally. Adjustable height thanks to the legs that are extensible. 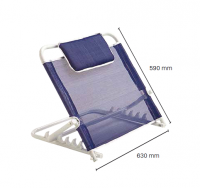 Safe, stable, due to the incorporation of a safety anti-folding device. 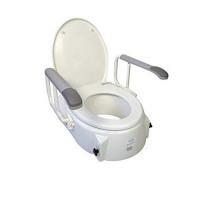 Seat horseshoe-shaped opening which facilitates access to care intimate hygiene. Slip tips. Chair with backrest and armrests for the toilet and the possibility of being placed in the shower, thanks to its adjustable height of 41 a56 cm. Installation very simple and practical. Made of aluminum and durable plastic. High durability of all its components. Very easy to clean with any common cleaning product. Lightweight only 5kg. Easy to disassemble for transport. Adjustable height. Armchair for toilet. 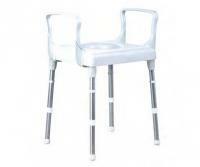 Chair to be placed over any wc thanks to its adjustable height 41 to 56 cm. Occasionally also it is placed inside the shower. Installation very simple and practical. Made of aluminum and durable plastic. High durability of all its components. Very easy to clean with any common cleaning product. Lightweight, only 3.8 kg. Easy to disassemble for transport. Adjustable height. Its modern and discreet design makes AlegioNG bed will fit easily in both residential and institutional care environments. One feature of the AlegioNG is optimized height range 28 - 80cm. 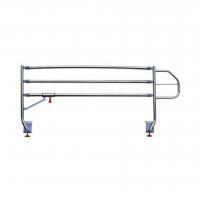 The lower position allows patients of small stature or unstable to get in and out easily and safely out of bed. 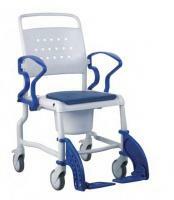 The maximum height of 80cm allows the caregiver to work safely. Like all products Invacare, the AlegioNG includes as standard and optional features that provide varying functionality depending on user needs. For patients who have a level of risk of developing bedsores medium high, with a score of 14 as the Norton scale, confined to bed more than 14 hours a day. Entraining back, it provides an inclination of 45 ° to 60 °. Equipped with a small cushion for maximum comfort. Nylon upholstery that allows sweat. Designed to help people to sit on the bed. The base as "H" under the bed remains.